If you love shopping and are looking for things to do in Miami and Fort Lauderdale, this is for you. 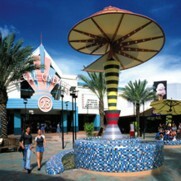 Sawgrass Mills, was built on the premise that ‘bigger is better’. With almost 2.4 Million square feet of retail space, it has the distinction of being the largest single floor mall in the USA. But the developers didn't stop there. They went on a quest for low price and high quality, by actively finding and attracting the top manufacturer’s outlets and persuaded them to participate in the discount culture of the mall. It is a very powerful combination of great offers in a seemingly endless way. It is heaven for those who love shopping. 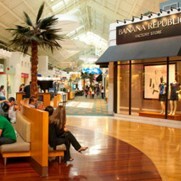 Popular outlets line both sides of the halls, like Levi’s, Nike, Polo, Saks, Cole Haan, IZOD, Disney Store, Calvin Klein, Neiman Marcus, Timberland, UGG, Armani, Prada, Gucci, Coach, and the list goes on, and on, and on. The mall’s over 350 shops, 2 food courts, 7 full service restaurants, cinemas, and plenty of rest areas, will surely keep you busy and offer great satisfaction. The shopping is phenomenal, and emphasis must be made on the fact that it is a big place, and you will be doing a lot of walking. So remember to bring comfortable shoes, and plenty of spending money! 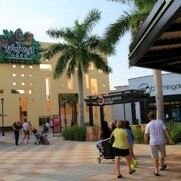 Shopping at Sawgrass Mills is an experience that is an international attraction in South Florida. Don't Miss it!.